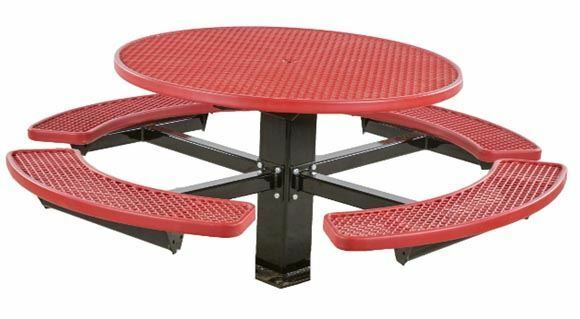 48" Round Fiberglass Picnic Table with 6" Single Post Frame, 402 lbs. - Picnic Table Store-Commercial grade quality-lowest price. 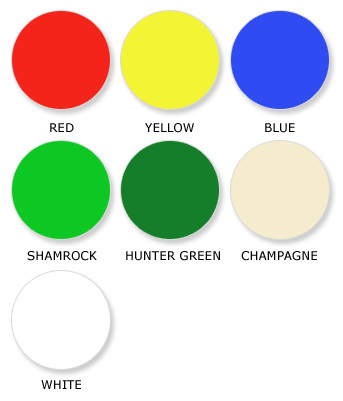 48" Round Fiberglass Picnic Table with 6" Single Post In-ground Frame, 402 lbs. This 48" round picnic table has a smooth fiberglass top and four attached seats. The frame is made of durable 6" single post frame made of galvanized steel. The in-ground mount makes this picnic table sturdy and vandal resistant. Call our friendly staff on how to make this picnic table ADA compliant. Plastisol is shown in the picture.